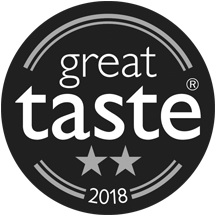 As well as five Silvers and two Bronze medals, our Gluten Free Ranger took Gold in the 2018 awards.  Now all of our GF pies are gold medallists, making them some of the best free-from pies in Britain. Pieminister’s Gluten Free Heidi pie was crowned Class Champion in the Free From Pie Class at the British Pie Awards in March 2016, making it one of the top 20 pies in the entire competition (with over 800 pies being judged). The Gluten Free Moo also came in the top three in this class, winning a Gold Medal and the ‘Highly Commended’ title. We won a whopping 11 gold stars the 2018 awards. Our growing range of meat-free pies did especially well: Heidi and our Christmas special, Christingle, were awarded two stars each and Kevin and Cheesy Rider each got a star. Our classic meat pies Moo, Kate & Sidney, Matador, Free Ranger and Fungi Chicken were also awarded one star each. 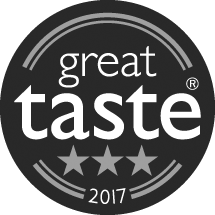 We won seven gold stars in 2017, three of which were awarded to our MooDog pie. Three stars is the highest number one product can achieve, placing this pie in the top 165 out of a whopping 12,366 products judged. 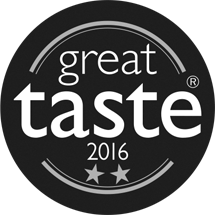 The Great Taste Awards, organised by the Guild of Fine Food, is the acknowledged benchmark for speciality food and drink. Often described as the 'Oscars' of the food world we've won over 30 of these awards since 2005. We were delighted to win the Food & Drink Category of these business awards. Judges were impressed by our responsible sourcing policy which benefits many local producers and for creating more than 100 jobs in Bristol alone. Our delicious vegan pies Kevin and Chooks Away are both registered with the Vegan Society.  Our gluten free pies are made in our gluten free-specific kitchen in Bristol and we are licensed by Coeliac UK to carry the Crossed Grain symbol. We cook and store the pies separately at all times to prevent cross-contamination. 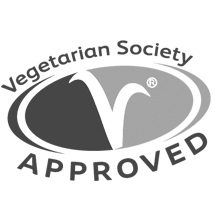 We ensure that every vegetarian pie we make is approved by the Vegetarian Society. 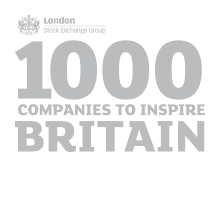 In 2013, Pieminister was included in this landmark report, which celebrates the most exciting and dynamic businesses in the UK. 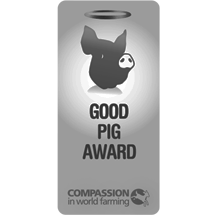 Compassion in World Farming awarded us the Good Pig Award in recognition of our high animal welfare standards. We only use 100% free range British pork in our products. 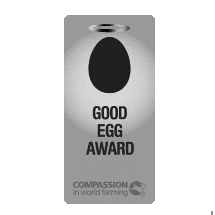 Compassion in World Farming awarded us The Good Egg Award in recognition of our high animal welfare standards. We only use free range eggs or egg products in our Pies and Pots. 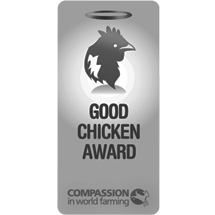 Compassion in World Farming awarded us with The Good Chicken Award in recognition of our high animal welfare standards. We are the only national pie company to only use free range British chicken and organic British stock in all our pies and pots.